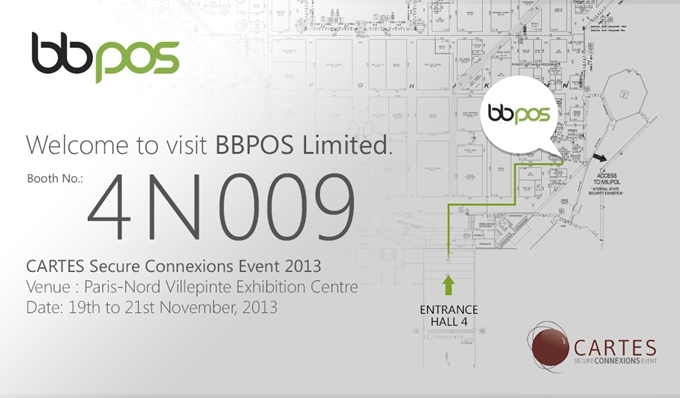 BBPOS will join the Cartes Secure Connexions Event 2013 in Paris, France from 19th to 21st November. We will showcase various SECURE, COMPACT and COMPREHENSIVE mPOS solutions to you. Visit us at 4N 009. See you at Cartes!